Well, the good news here is that I did better at blogging this year. There is still so much I haven't blogged about, but I have recorded in other ways. I wonder how my great grandkids will access my Instagram account? Or this blog? Oh well. Some record in any format, digital or analog, is better than nothing! The other good news is that not writing as much as I could have means I have plenty left to write about. Even grocery shopping is an adventure while living in a foreign country, so coming up with 30 adventures worth blogging, past or present, shouldn't be too hard. Because, as you may have guessed by now, it's NaBloPoMo time again! I've learned a lot this year and done some amazing things. I'll never feel like I've seen or done it all, but as long as we are proactive about living here and experiencing as much as we can, I will feel satisfied that at least we have tried. So, stay tuned while I recount some of those adventures and lessons! Happy November! 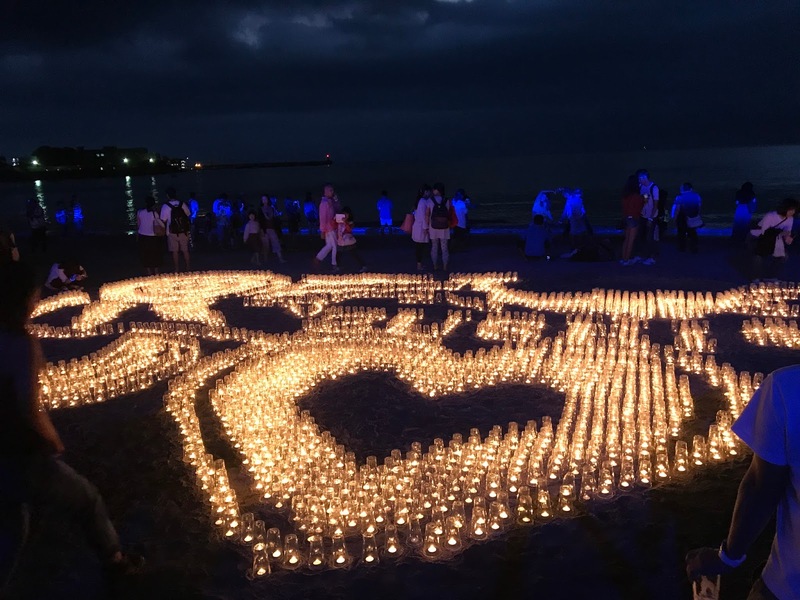 Zushi Beach is the closest beach to our home, about 20 minutes away via train/foot, and this was from an illumination and candle lighting event they held recently. We (heart) Zushi! I love that you are taking this opportunity for all it is worth and not missing out on it. A lot of people wouldn't be nearly as proactive as you are and that's sad. You are better people for it. Oh how I sympathize with feeling like we haven’t seen or done it all. Even worse when the countdown is on for our next tour! Also, yay for lots of blog posts - I love November for this reason!